Donors, patients and creative artists come together to uplift, encourage, include and heal through Natividad Foundation’s Art of Better Health program. Donors and local artists started by transforming what could have been a generic hospital setting into one that welcomes and affirms the healing strength of our community. 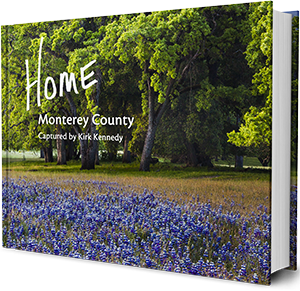 Thanks to these gifts, original local art fills our center and makes it feel more like home. 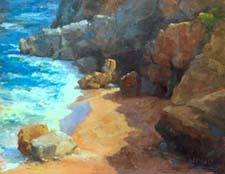 The healing through art continues every year as our local art society partners with us to submit dozens of original paintings tied to our annual theme. Part of the proceeds from this year’s program will support spiritual care for patients of Natividad. 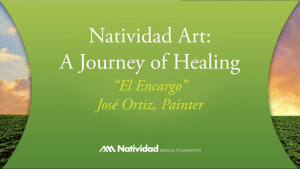 “El Encargo,” by Jose Ortiz, is an original mural that graces one of Natividad’s main hallways, connecting patients who previously lived in rural villages with their aspirations for a better life. 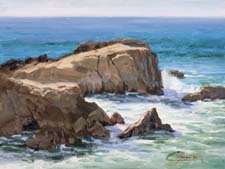 "Art Needs No Translation, Only Interpretation"
Every year, Natividad Foundation and Monterey Bay Plein Air Painters Association come together to present a special art exhibition on the second floor of Natividad. . The paintings honor the patients served by Natividad, creating an environment that welcomes and affirms the healing strength of our community. The juror of this show was the award-​winning artist Carol Tarzier. 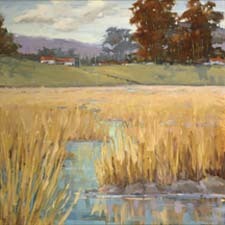 The term “Plein Air” painters refers to artists who go outside and paint in the open, “en plein air,” creating their paintings based on the scene in front of them. 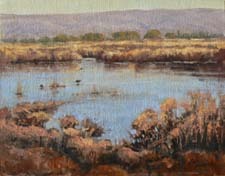 Generally, these paintings are relatively small in size because of the logistics of the undertaking and the need to capture the fleeting light and atmosphere. 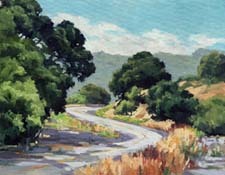 Some of the larger paintings in the show were created in the artist’s studio based on smaller plein air studies. All paintings are on sale throughout 2018 and 30% of sales benefit Natividad Foundation’s Spiritual Care program. 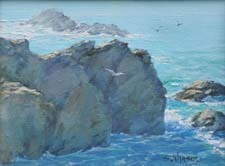 To view the full gallery of paintings, please click here.